Combining LinkedIn’s business identity and relationship graph with Microsoft’s commercial cloud and business analysis tools makes a lot of (dollars and) sense. 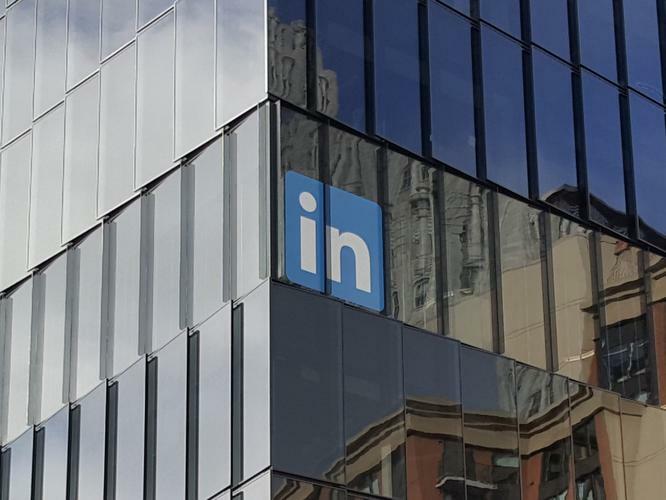 If you think of LinkedIn as a social network or an online recruitment service, then you may well be scratching your head about why Microsoft would spend more on it than it has on any other acquisition. But consider that Microsoft has a graph that covers how you’re connected to people by email, documents, messages, meetings and address books, while LinkedIn has a graph that covers jobs, skills, colleagues, and professional connections. That’s two separate sets of information that would be much more useful together. Microsoft CEO Satya Nadella has already talked about how the Microsoft Graph and the Office Graph are some of the company’s most valuable assets. Think about what you could get by combining those with the graph that represents the professional networks of your employees and partners and adding machine learning that can pick out who and what is actually relevant to you in the sea of all the people and resources you’re connected to. “Wisely integrating this data could give them near-unbeatable market advantages by applying analysis on this data to help customers perform better, while giving them the leading source of data insight into business relationships. Used well by Microsoft, this relationship data could be used to build the next-generation of industry-leading, data-driven prescriptive products to boost key corporate functions such as performance management, sales, recruiting, hiring, on-boarding, and operational collaboration." Microsoft is likely to start small. The most basic benefit could be a unified, self-updating address book; you can get someone’s contact details from LinkedIn today by connecting the service to Outlook, but that’s rather basic data scraping that doesn’t update their details as they change jobs. Or you might not even need an address book: Imagine typing someone’s name and having Outlook suggest the email address for a John Smith who works at the company you had a meeting with yesterday, even if he wasn’t listed as one of the meeting attendees, because Outlook can look at both your calendar and the professional network for the person you did meet with, who referred you to a colleague named John Smith without giving you his contact details. That kind of integration could easily be what Nadella means when he talks about “making LinkedIn one click away in your contacts, in your email, in your browser and in Cortana.” Cortana can already look at information in Office 365, Power BI and Dynamics to help you prepare for a meeting by showing documents from the people you’re meeting with, let you know if a metric you’re tracking has changed or warn you that a customer is unhappy. The information that LinkedIn has about people and how you’re connected to them is a perfect fit for that vision of having relevant business information proactively delivered to you. Ever since Microsoft moved Dynamics into its Cloud & Enterprise group, it has been shifting from simple CRM to more of strategic tool for managing the way your business works, what Microsoft calls “systems of intelligence.” Last year, Microsoft previewed a Meeting Sense tool that looks like an advanced version of Cortana’s meeting prep and uses machine learning to analyze your previous interactions and show you information that might help you prepare for an upcoming meeting. LinkedIn is an ideal source for that kind of information, and it already has a Sales Navigator tool for helping sales teams find prospects, get introductions and understand what those prospects care about. Microsoft showed off this concept of Cortana mining LinkedIn to help you prepare for a meeting. LinkedIn CEO Jeff Weiner sees the combination of the Microsoft corporate graph and the LinkedIn professional graph as a first step towards what he calls “the economic graph,” a digital map of the worldwide business economy — every business, every employee, every job and the skills it takes to get that job, every educational establishment where you can get the training to obtain those skills…. It’s a business-specific version of Google’s vision of organizing the world’s information, and it’s certainly going to make Bing better at finding professional information and business details. The economic graph could also be an API developers could call when building their own apps and services, for anything from checking the address on an invoice to looking for companies with specific demographics. And the information from that kind of network would be just as much at home in Office 365 as in Dynamics. The Delve Analytics service in Office 365 shows you what your colleagues are working on and can suggest when that’s relevant to your own projects — as long as they’re working inside the Microsoft ecosystem. The LinkedIn newsfeed shows you information from your industry and connections, personalized for your profile and any interests you’ve marked. Combine the two and you get suggestions for articles and experts relevant to the project you’re working on or the meetings you’ll be having in the next few weeks (mined by Microsoft’s natural language algorithms and curated by Microsoft’s machine learning algorithms), inside your company and out. LinkedIn already personalizes its news feed for you. Connect it to Office 365 and you could get a combination of internal and external updates. If you’re concerned about the privacy aspect of all that, it will be the same as the Office Graph. Your company will have to opt in to the service (and probably pay for it through Office 365), and your admins will be able to choose what apps and services can be used with your company information. “We keep these two worlds separated,” Nadella promised on the investor call about the deal. “[There’s] the public information and the tenant information, the customer's own data. Nothing gets linked or connected without customers opting in or without provisioning of IT. We believe customers will connect these because of the value it generates for them, but even then it's their data and their insights.” Microsoft isn’t going to see any of that, just as they don’t see what’s in your SharePoint Online libraries on Office 365, unless you authorize temporary access for troubleshooting. The publicly visible information about your company that your employees are putting on LinkedIn is another matter, of course. That already gives LinkedIn an unprecedented view of what’s going on inside businesses around the world and it will be interesting to see if Microsoft follows its usual pattern of giving enterprises tools to monitor that employee activity. The Cortana and Office 365 integration might sound like something Microsoft could have built simply by getting an information feed from LinkedIn, rather than buying the company. But if this is going to be really valuable, Microsoft is going to want to have permanent access. It has already lost integrations with Twitter and Instagram that it had built into various systems. It’s also not the only thing Microsoft can do with LinkedIn. Although it’s the connection data that is likely to be the most valuable to Microsoft, the profile information from LinkedIn might be directly useful inside businesses too. It’s always a struggle to get employees to put their details into your intranet site and even if you can get them to create a profile for tools like SharePoint that try to track expertise within your company, there’s not always much incentive to keep that up to date. The skills and endorsements system on LinkedIn is far from perfect (and it would be nice to see Microsoft’s security technology applied to reducing the most egregious levels of spam), but it’s a system that people already keep up to date because they see it as valuable for their career development. Being able to tap that information inside your business could be equally valuable. HR likely has employee resumes on file from original job applications, but managers have no way of mining that information to tell them if someone on their team has experience in a particular technology they are considering adopting, previous relationships with a company whose order they’re trying to win or knowledge of an area their’re planning to expand into. Talent management and human capital management (HCM) aren’t just fancy terms for HR, and they’re not just for recruitment. It’s about understanding the talent you have in your company so you can take advantage of it. Buying LinkedIn gives Microsoft a fast track to an HCM system to compete with SAP and Oracle. 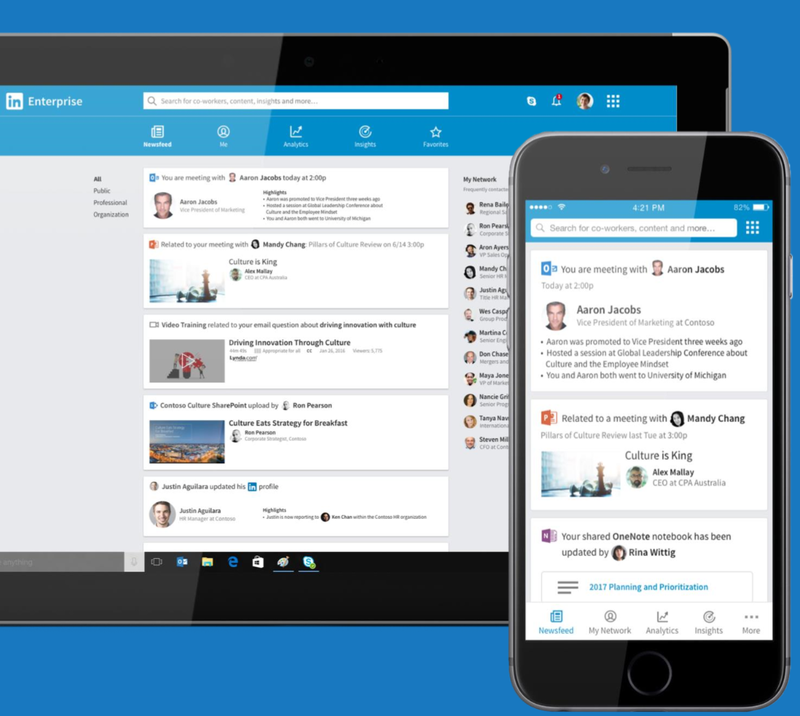 It’s worth noting that LinkedIn won’t replace enterprise social network tool Yammer, but it might help employees find connections in a less ad hoc fashion. As a McKinsey Global Institute survey recently showed, social tools make digital processes inside business more effective, even in the back office — especially for activities like demand planning, supply chain management, procurement and order-to-cash. “When a company looks to technology to improve its processes, the benefits are greater when social and digital tools are used together,” the report suggests. It’s also a mistake to view Microsoft’s purchase of Yammer as a failure. Yammer has replaced the social feed inside SharePoint and given Microsoft a strong position in the enterprise social network market. But equally important is the impact that Yammer had on the development of the projects that became Delve and the Office Graph. At the same time, Nadella has promised that any integration of LinkedIn information in Windows will be done “tastefully.” You can expect many of the LinkedIn-powered services to be premium offerings in Dynamics and Office 365 SKUs, in the way that Delve Analytics is included in the most expensive Office 365 E5 plans, where they’ll provide valuable and relevant information. It’s even possible that Microsoft could improve LinkedIn’s tired and confusing website.